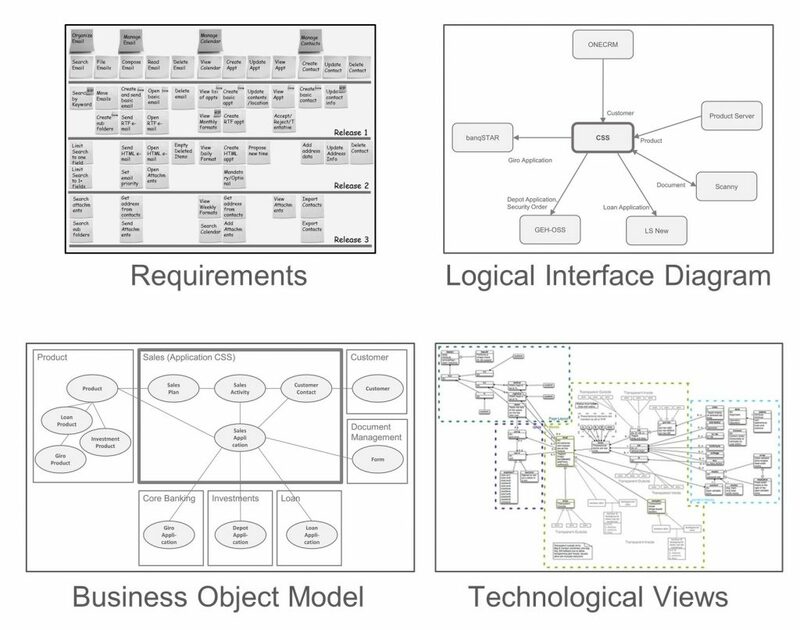 The Architectural Thinking Framework® provides five solution maps that have proven to be valuable in many companies and have been accepted by business people and executives. The strict separation of business- from IT architecture maps enables business people to participate in architectural work. The maps that are used at solution level are connected to the enterprise-wide architectural maps. This connection makes it possible to trace each requirement and design decisions to the enterprise-wide level.